Look what house $375,000 buys in my area! Discussion in 'The Lounge' started by Capt. Jack Sparrow, Sep 7, 2005. Holy crap, I can't believe how much real estate costs in my area (Washington, D.C.)!!!! 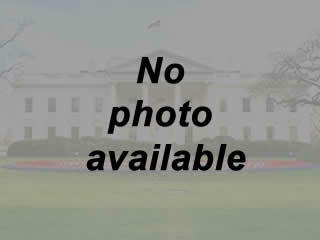 Below is a picture of a house on the market for $375,000. It's in Maryland, about ten minutes from my apartment and (about ten minutes from the D.C. border. Since it's not in D.C., it's cheaper than D.C.) It has one bedroom and one bath, and is located on less than one-fifth of an acre. Built in '49. Not even close to a Metro station! The sad thing is that it'll probably sell for at least $10,000 over its asking price! Here's the real estate listing if you don't believe me. If you all have time to post a pic or a link, what does $375,000 buy in your area? I'm looking for ideas. $375,000 buys you a closet, a hotplate and a bucket. Seriously you can't get a friggin doublewide for that coin in S.B. Yeah, same here in L.A. and O.C. San Diego is even worse. Hey wait, I thought the cops in S.B. ran you out of town if you were too poor and had a doublewide. Don't they send you to Goleta or someplace like that? I think from now on if you don't live in California you aren't allowed to complain about the housing market. Edit: That house would be 500,000+ here in Pasadena. this is on the west shore of lake tahoe. they are asking $370k. it's listed as a 2bd, 1 bath. 768 sq feet, built in 1962. Just read something this morning about the DC-area "bubble" and how it may already be deflating. Only time will tell. Fairfax County saw an 8% decrease in sales compared to last July; Arlington County: 19% decrease. $369,900 in Simsbury, CT. 2 bedrooms, 3.5 baths, 2 car garage, c/a, 1831 sq feet, built in 1993, and (best of all) about three miles from IAB and MBC. The housing market in DC is also out of control. Someone will actually buy that house just for the land, then demo it and build a new house. The neighborhood I used to live in sold "starter" homes from the mid 600's, and that was last summer. With the way prices were rising, the home prices had to even out eventually. Peoples salaries were not growing fast enough to keep up with the housing market in the D.C. area. 379,000. 3000 sq ft, two car garage. In a very nice part of town. I think its almost .5 acre lot. The probability of success is slim but what I'd love to do is find an empty lot somewhere inside or near the western half of the beltway and plop one of these on it. Immaculate three bedroom Cape with master bedroom on the first floor with 3/4 bathroom. Large family room with gas fireplace. Two half baths on first floor with living room and large kitchen, with dining area. Second floor has two good size bedrooms and full bath. Basement is finished and is great for a game room. Large deck with brand new hot tub, with in ground pool with the pool furniture staying. 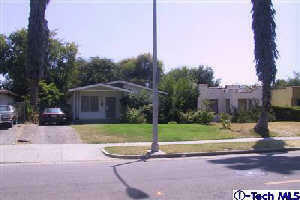 Yard is landscaped beautifully and has a sprinkler system. A jewel in the Town of Moreau. Well, at least the taxes are cheap: $2195/year??? My g/f's house is in a nice area of NJ near Princeton. 2-3 BR, 1.5 Bath, Nice kitchen, weird layout (1870 house w/ additions). Sits on 1/2 acre with a huge 2-car detached garage/shop. Bought for $270K, valued at $350K when she refinanced a year later. Me = 90 minutes from Fenway Park. You = ehhh...a bit further. Grand log home on 6 acres M/L, 5 minutes from I-40 off of Highway 287 in Morrilton. Huge vista from this hilltop home. Wonderful open floor plan. Be pampered by the luxurous master suite with its oversized bedroom, bath and closet. The great room has floor-to-ceiling fireplace with pellet stove. Three bedrooms, three baths; great room; breakfast and formal dining area; designer kitchen; loft office; utility room; HUGE three-car garage. Enjoy evenings on the large deck alone or with lots of friends. Listen to the songs of the nightingales and owls as the breeze whispers through the trees. There is a very good garden spot for the home gardener. The house and deck have new stain and water proofing as of June 1, 2004. Directions: Take Harding St. to Hwy 9 turn left to Hwy 287 turn right, take Hwy 287 to Deerfield Addition turn right to White Tail Lane turn left follow White Tail to top of ridge. Dude. That would go for well over a mil in So Cal. No, no, no. They run you out of town only if you are wearing a bra. "We don't see nips pokin through, hit the road!" that's a low blow. You got me beat there. I used to be less than a 20 min walk and grew up about 2 hours away. I will be back there in a couple of years, for now my yearly trip will have to do. $375,000 is the pocket change Brian HCM#1 has in the ash tray of his Denali. So when is N8 to going to reply with, "This goes for $182,000 in Arkansas!" Whoa whoa whoa...is N8 from Arkansas? Nevermind that $182K is about Arkansas' GNP. LOL! I can't believe how much bang you get for your buck. but here is another linky to a sweet house! I think that could buy the entire province where I grew up? ...I think from now on if you don't live in California you aren't allowed to complain about the housing market. Yeah, but you get to live in California. You're near the coast, you've got sun, fun, lots of mtn. biking... surfing... gorgeous sunsets. But paying half a million just to get a small house in D.C.? Why? Just to be surrounded by a bunch grey buildings and a lot of tight-asses who talk about politics and law in their free time? Facing heightened terror alerts? Ugh! The closest beach to D.C. is like 120 miles! The house my parents live in at Stafford, VA was bought in 1987 for around $210k. Now the same house in the neighborhood sells for $520k. Will be nice for them since they will sell the house when my father retires in 2 years. $379,900 ... 4 beds / 3 baths on 1/2 acre. is someone forcing you to live there? Uh, my parents aren't exactly "well" so I stay close by to help them out. lets put it this way i did a search for my town and they didn't even have any that were close to 375,000. for under 300k you can easily get something around 3000 sq ft with a 2 car garage and like 4 bedrooms. i'd say my mothers house would sell for around 120,000 on a good day and its like 1700 sq ft colonial with a full garage attic, deck, pool, 3 bedrooms, decent yard and in a good school district. not to derail, but have you heard of a band called "Reckless Kelly"? Their drummer is from Simsbury, just wondered, anyhow, good band if you ever get a chance to catch em live.